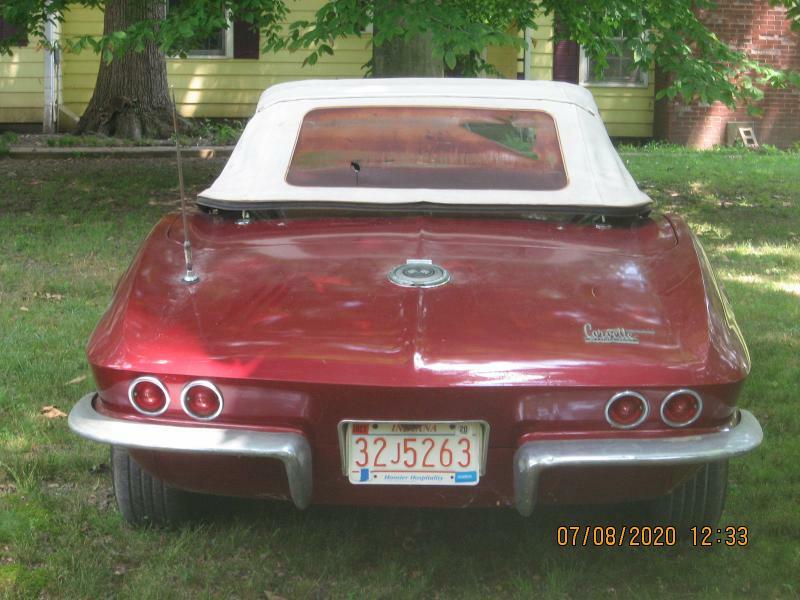 1962 CORVETTE CONVERTIBLE - 327-300HP ( NON MATCHING-PERIOD CORRECT ) 4 SPEED -CORRECT SHIFTER AND HUBCAPS-NEW CONV TOP-NICE INTERIOR-ROMAM RED/BLACK INTERIOR/WHITE TOP-GREAT LOOKING DRIVER !! !--SPECIAL $46995 !!! !